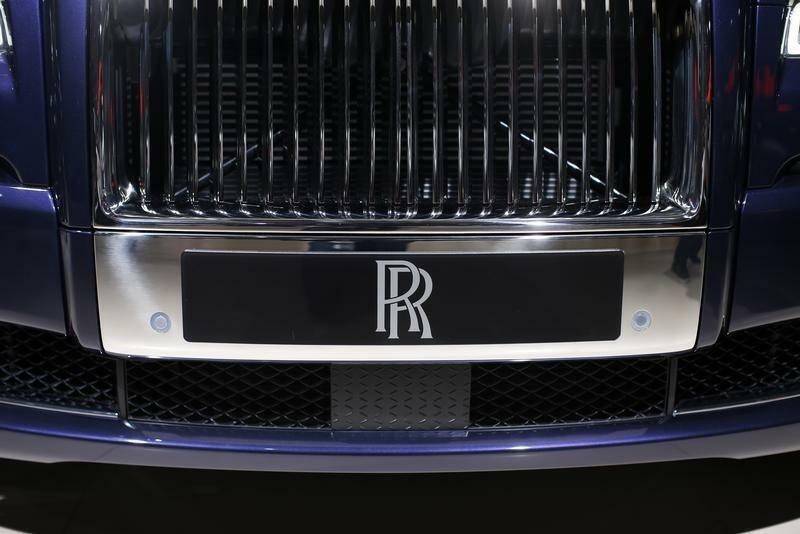 FRANKFURT (Reuters) - Luxury car maker Rolls-Royce is upbeat about sales this year after smaller, more sporty cars gained appeal with younger customers, resulting in a 13 percent jump in deliveries in 2014. Chief Executive Torsten Mueller-Oetvoes said the brand had benefited from expanding its model range beyond the flagship Phantom, which can measure up to six meters in length and sells for more than 300,000 pounds ($455,580). Rolls introduced smaller models such as the Ghost II in late 2014 and the Wraith Coupe in late 2013, helping lift overall deliveries to a record 4,063 last year. Both models are almost one meter shorter than the Phantom. The company is broadening its portfolio to suit a younger market with different aspirations, Mueller-Oetvoes said. In China for example the average customer is in his or her late 30s or early 40s, around 10 to 15 years younger than elsewhere. Rolls is even considering building a sports utility vehicle. A decision about whether to go ahead will be made this year, the CEO said. Given the company's product portfolio and the growth in its ultra-wealthy clientele, Mueller-Oetvoes said he was quietly confident about sales for 2015. Around the world, wealth accumulated by high net worth individuals, defined as those having investable assets of $1 million or more, is expected to reach a record of $64.3 trillion by 2016, 22 percent more than in 2013, according to a report by Capgemini and RBC Wealth Management. Growth at Rolls has been steady since 2003, when the company sold 300 models of its Phantom, the first car developed by the company under BMW (BMWG.DE) ownership. But it still lags rival Bentley, owned by Volkswagen (VOWG_p.DE), which has yet to disclose full-year sales but which sold 7,786 cars in the first nine months of the year and 6,516 in 2013. Rolls says it is not playing the volume sales game. "BMW gives me an earnings target, not a volume target," Mueller-Oetvoes said. Asked if Rolls might consider a move toward greater independence, just as Ferrari is being spun off from Fiat Chrysler (FCAU.N), the German executive saw little appeal in such an idea. "I hope not. I am glad to be part of BMW Group because we can learn from their vehicle development capacities and know-how," Mueller-Oetvoes said. "Developing the next generation of fuel-efficient technologies is really expensive."